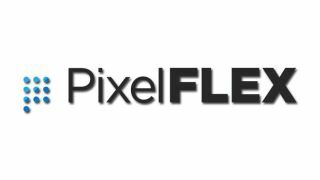 PixelFLEX will showcase its LED video technologies while while also demonstrating the interactivity of LED video displays with partner Reflect Systems at GlobalShop 2017 on March 28th. Located in Booth 3037,inside the Mandalay Bay Convention Center, PixelFLEX and Reflect will demonstrate the creative impact of the TrueFLEX LED video display, the reFLEXion LED video stand, the FLEXLite NXG LED video wall, the LumiFLEX LED video floor and the FLEXClear LED video window to the retail designers and design consultants in attendance. Designed to create convex or concave curved video displays, TrueFLEX is a solution for retail installations requiring an ultra fine pixel pitch and a high-resolution LED video pallet in a flexible format. Now available in 1.9mm, 2.5mm, 3.0mm, 4.0mm, 6mm and 10mm indoor pitch options, the TrueFLEX LED video system attaches to any surface and its fanless design allows for a no-noise LED display in any space. Its slim and lightweight construction needs very little space for wiring, and the external sending and receiving control, paired with quality connectors, guarantee safe and reliable module connections. A replacement for traditional static and backlit signage, the reFLEXion LED stand is a self-contained 2.5mm pitch/resolution video display with a design for easy mobility throughout any space. Its Wi-Fi connectivity allows for convenient networking and content updating to maximize the viewer experience, and it is customizable with multiple base options. The LED display of reFLEXion can be further customized to a specific size with an assortment of color aluminum frame options to help with brand reinforcement, plus it can create seamless right angles to wrap around 90 degree corners wherever needed. Now with fully front-serviceable video panels, plus right-angle corner capabilities, the FLEXLite NXG is available in 2.6-6.25mm pitch options, plus a 6.25mm full outdoor IP65 version. FLEXLite NXG tiles are calibrated directly out of the box to ensure perfect color and brightness and will help you realize the full potential of your retail LED video environment. Initially debuted at the LDI Conference and Tradeshow in Las Vegas, LumiFLEX is a 6.25mm LED floor. With its ISSS-Certification, LumiFLEX allows for creative branding or messaging in any retail environment in a location that is sure to capture the attention of any consumer. A transport LED display that can be placed directly into a window without sacrificing natural light, blocking sightlines, or infringing upon security regulations, FLEXClear creates a truly dynamic experience for consumers before they even enter a retail location. With an IP 44 weather rating, FLEXClear is 65-75% transparent LED display that can compete with direct sunlight and offers a multitude of applications with a quick and simple installation. To find out more about the innovative line of PixelFLEX LED video technologies designed to enhance any retail environment, visit Booth 3037 at GlobalShop.